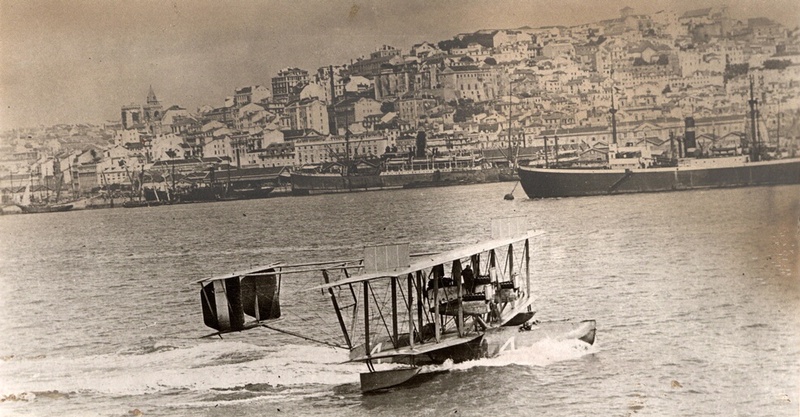 NC-4 taxis into Lisbon harbor after its successful flight across the Atlantic on May 29, 1919. The world press celebrated NC-4’s flight as a triumph of logistics and American aeronautical capability at a time when most planes had a difficult time simply staying in the air. National Air and Space Museum, Smithsonian Institution (SI 87-6058).